Battersea Power Station Community Choir. 'The Amazon Rain Forest': Beautiful photographs and an insight into the lives of the indigenous people, the rivers, the flora and fauna - and historically the controversial period of the rubber boom. The threats to the imperilled forests are assessed, namely climate change, deforestation, economic and population pressures, and elusive solutions are explored to save the invaluable but fragile and immensely complex eco-system that is Amazonia. 'Afghanistan Past & Present': Mine clearance work as Head of Mission for the HALO Trust in Afghanistan in 1991/92 following the Russian occupation, and during the civil war that preceded the arrival of the Taliban. The earlier history of Britain's three previous wars in Afghanistan is woven into the narrative, together with a first hand insight into the present situation in the country. 'The SE Asia Earthquake 2005': Frontline humanitarian aid work seconded by VSO to a Pakistan NGO based in what was then North West Frontier Province in the foothills of the Himalayas directly in the aftermath of the devastating earthquake of 2005. At the micro-level I cover personal operation of a tented camp in Balakot for survivors and the aid delivered to villagers high in the mountains. On a wider strategic front I talk about the overall response of the international aid community, its effectiveness and otherwise, relating this to formulation of a template and guidlelines for reaction to natural disasters worldwide. 'Travels in the Amazon Rain Forest': A corollary to my first lecture centred on Peru, which I have visited regularly over the past fifteen years, and where I have family and a chacra smallholding. I talk about the people of the region, their culture, the colourful history of the jungle city of Iquitos (including the 'rubber boom' period), a charitable handicraft initiative that my wife is pursuing with a remote community, the flora, fauna, fish, and fruits of the forest, and suggest ideas for river travel itineraries for prospective travellers. And necessarily I cover the threats to the survivability of the region: pollution in the rivers (and reduced fish stocks), the destruction of the vital forests through illegal logging, over-population, and oil exploration. 'Three decades in the Royal Navy and Service in HM Yacht BRITANNIA': Libya with Colonel Gadaffi, HM Royal Yacht BRITANNIA, Malayan Emergency jungle patrols, round the world in HMS CHICHESTER, Commando carrier HMS ALBION and Borneo Confrontation, British High Commission Ottawa, and NATO HQ in Malta GC. Loan service with the Sultan of Oman's Navy in Muscat at the end of the Dhofar War, Commander of HMS ROOKE in Gibraltar and of RN Hospital Haslar, Gosport; HMS DEVONSHIRE guided missile destroyer, and more. 'Humanitarian & Disaster Response Assignments Worldwide': This copiously illustrated talk covers the management of aid programmes in Croatia with the Red Cross during the Balkans War, work as Head of the RC Delegation in Armenia after the earthquake, and operation of an emergency cholera field hospital in Goma after the genocide. VSO postings to Ethiopia, Somaliland and Bangladesh are included, as is work with disabled refugees for Ryder Cheshire in remote Western Tanzania, and assignments in Eritrea and Nagorno Karabagh. I find that a talk with pictures of around 45 minutes normally works well (but this can be varied and tailored), followed by, say, 15 to 20 minutes of questions and discussion. I have given talks on Radio Four (e.g. First Person), and other Channels, and have been a guest on Midweek and Saturday Morning. Whenever requested, I can readily cover my own approach to writing books, with many positive suggestions and ideas for prospective authors. A sample testimonial following a talk I gave to the Royal British Legion in Royal Hospital Chelsea read as follows: "Your inimitable and intriguing style completely captured your audience". And after speaking at New Horizons, London the letter of appreciation said "...today's talk kept the students enthralled...". Again, from the London Lecture Club: "Thank you so much for your lovely presentation." I am based in London (Battersea) and am happy to travel to all parts of the country (and abroad), and really enjoy these engagements. Consequently, a donation to charity is welcomed in lieu of fees; talks for charitable organisations are without charge. Amongst my radio broadcasts have been 'First Person' following the Gulf War, and Midweek with Libby Purves. I joined the Royal Navy at 16, and for the next 35 years served worldwide in frigates, a guided missile destroyer, a commando carrier and in HM Yacht Britannia. Onshore I served in Malaya, Malta, at the British High Commission in Canada, and in Libya, commanding naval establishments in Gibraltar and in Oman. My humanitarian aid career took me to Tanzania, Eritrea, Ethiopia, Northern Bangladesh, Nagorno Karabagh, Armenia, Croatia, Peru, Saudi Arabia, Pakistan, Afghanistan, Somaliland, Belize and post-genocide Goma. And now I have time share my experiences and to write further books (including for children, and a literary fiction allegorical rain forest romance, 'a love letter to Amazonia' which has just been published and is receiving oustanding reviews). Recent talks I gave on 'Afghanistan' were at the Stoll Foundation (Veterans' Housing) and at New Horizons, Chelsea; my talk on 'Travels in the Amazon Rain Forest' at the London Lecture Club was given to a full house and highly appreciative audience, likewise to the British Legion at Royal Hospital Chelsea and to Wanstead Ladies' Club. Through my website please: www.johnlanebooks.com. Or directly on my landline 020.7627.4944 (do use the answer phone if I am not immediately available and I will get back to you asap). 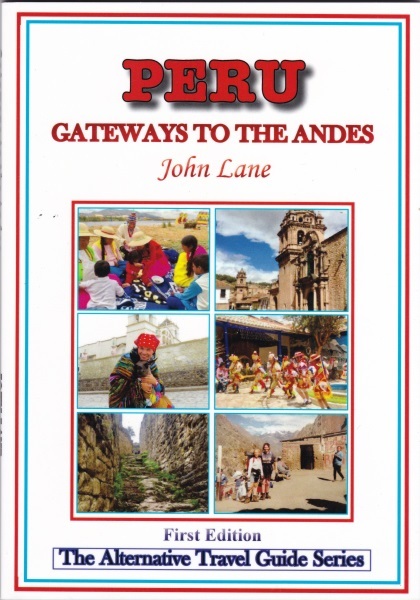 Best-selling (John Murray) award-winning published author, wide range of books on Peru, Amazon and Andes travel, Afghanistan mine clearance, Pakistan earthquake relief, and six children's books. Stanley loved to play football in the park, except that he had no friends. But then one day... 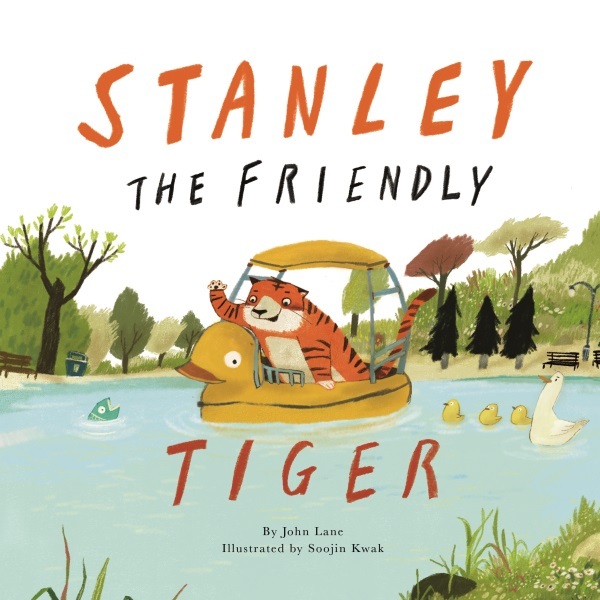 Beautifully and humorously illustrated - for children 2-8yrs. Guide to the road less travelled in the magical Andes of Peru - where to go (after Cusco and Machu Picchu); condors, culture, food, history, accommodation, Lake Titicaca, everything. The South East Asia Earthquake of October 2005 that claimed the lives of 100,000 people. Balthazar takes his passengers on a surprise seaside treat! Florence watches the Queen's soldiers from the Castle and Musician Semi-breve saves the day! The wedding of Princess Bellatooba and Philemon Phineas is an unexpected sensation! Peruchita has a sampler sewing kit for you, inspired by her home in the magical rain forest. John Lane's Good Grief Pocket Book delights in the ring of words and through 100 carefully selected quotations offers solace and comfort in time of bereavement. Wonderfully illustrated, the magical story of the travels of the Forgotten Tailor and the Queen's Coronation for 2 to 8 year olds.